This past weekend I was in Missouri and the in-laws took me to Squaw Creek, a nature preserve, in the north western part of the state not far from where they live. There were quite the number of birds there that day, mostly ducks of one type pr another. 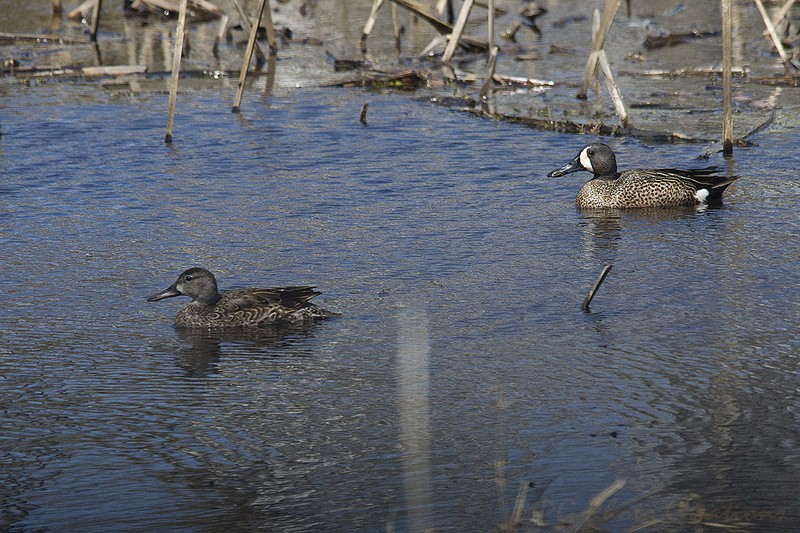 This is a male and female pair of Blue Wing Teal ducks that I was able to capture. I had never seen this type before.